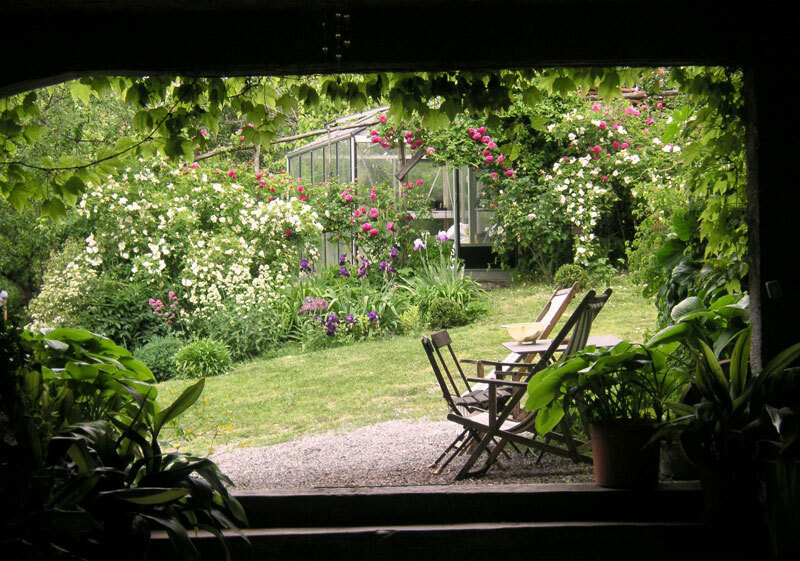 I was thrilled a while back to discover Madeline Jhawar’s website and blog, Italy Beyond the Obvious. Madeline is a former tour guide who lived in Italy for five years and now her company offers expert custom travel planning, so visitors can get beyond traditional guidebook recommendations and interact with locals. Her wonderful blog posts combine a great mix of practical info (for example, How to Drive Like an Italian) and insider’s info on specific locations (such as the Island of Ponza). I adore her philosophy of travel, which is all about not cramming too much into a vacation (always a challenge with Italy), but rather focusing a trip so travelers can authentically experience the sensual and cultural pleasures of the Bel Paese. “Rock star! 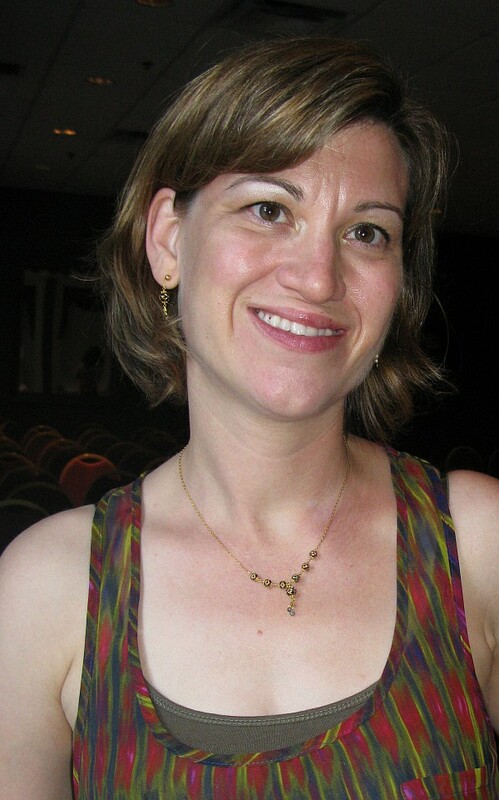 !” was one of my favorite descriptions of her in the glowing Testimonials section from an Italy Beyond the Obvious customer. Some say the countryside of Piedmont makes Tuscany envious – and what better way to see it than on a bike? Balance the exercise with some hearty food and some designer-label shopping, and you’ve got one of those Golden Days that you’ll reminisce about as you sip a glass of incredible local wine while watching the sunset. 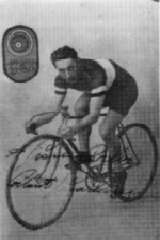 Start in the town of Novi Ligure, famous not only for its Novi chocolate but as the birthplace of cycling legend “Il Campionissimo” or Champion of Champions Fausto Coppi, who won the Giro D’Italia 5 times and the Tour de France twice. Visit the cycling museum, Museo dei Campionissimi, or just rent bikes there. Before the ride, stop in at Pasticceria Bar Elvezia, (Viale Aurelio Saffi 40, just off the pedestrian area). 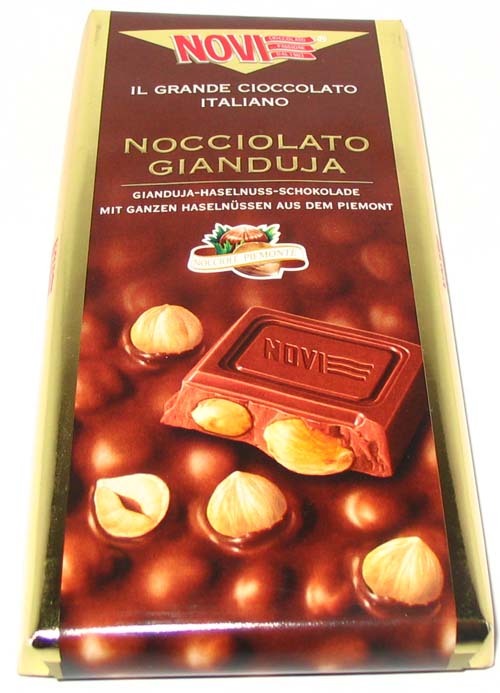 Here you can taste Novi chocolate–the gianduiotto (chcolcate mixed with hazelnut) is a Piedmont specialty. Or perhaps you’d like a pastry or gelato…maybe a gianduiotto gelato! Then head out of town. This 4-hour circular route takes you up and down a few hills on a spectacular cycle through some of Piedmont’s famous Gavi and Dolcetto vineyards. Beginning from Novi, head to the town of Monterotondo, and almost right away you’re surrounded by vineyards. If you’d like to visit a winery, it’s best to call ahead and confirm they’ll be open for visitors. 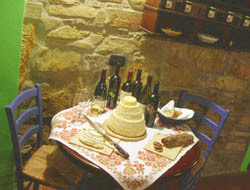 Two favorites along the route are Villa Sparina near Gavi or La Giustiniana near San Cristoforo. On your way to Gavi (and after a few hills!) 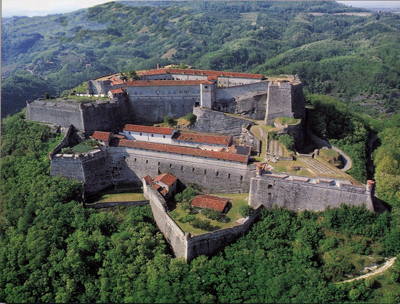 you’ll see the incredible Gavi Fortress up to your right. Head through the town of Gavi, stopping to visit the Romanesque church of St. James and the medieval door, then continue on to San Cristoforo. Follow the gorgeous road of Rondanino, through vineyards, for about 3 miles towards Francavilla. Continue towards Francavilla Bisio, and then towards Pasturana. On your way back to Novi, don’t miss the ancient church of San Martino. 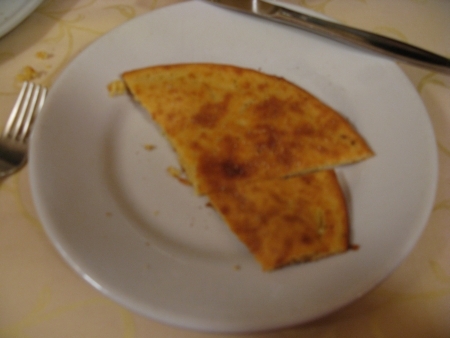 Back in Novi Ligure, return the bikes, freshen up, and head to a pizzeria for Farinata, a savory flatbread made with chickpea flour. 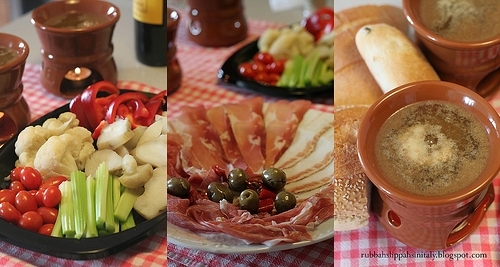 Speaking of Piemontese food, during your stay you should also definitely try Bagna Cauda, a sort of hot dip made from garlic and anchovies.You can even buy Bagna Cauda in a jar to take home as a souvenir–it’s what I always ask my Novi Ligure friend to bring when she comes to visit me. The nearby outlets of Serravalle are only a few minutes’ drive away, so the late afternoon is reserved for designer label shopping! 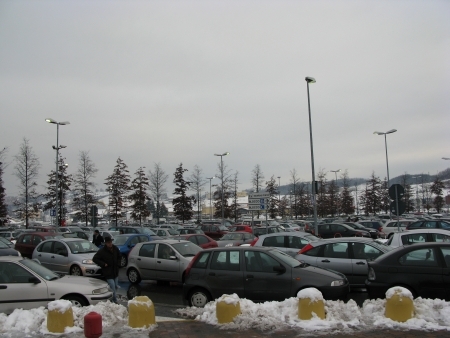 Serravalle is huge (allow lots of time for parking! ), with all the famous Italian brands such as Prada, Versace, Furla, Ferragamo and international brands like Puma, Lacoste, Guess, Calvin Klein – and of course many others. For dinner, if you’d like to go casual, there’s a great pizzeria, La Tavernetta, in Novi Ligure right on the pedestrian street. Or a few miles away is a Slow Food restaurant, Vallenostra, that serves delicious cheeses, salumi, meats, pasta, and often truffles and chestnuts. As far as a place to stay, I would recommend L’Ostelliere for a 4 star hotel experience. They also offer cooking classes and bike rentals. Grazie Madeline, I’m inspired to pack my bags! Piedmonte is a beautiful area. We have been several times including a few visits to Salone del Gusto. We particularly loved the Alba area. I think we need to go back.